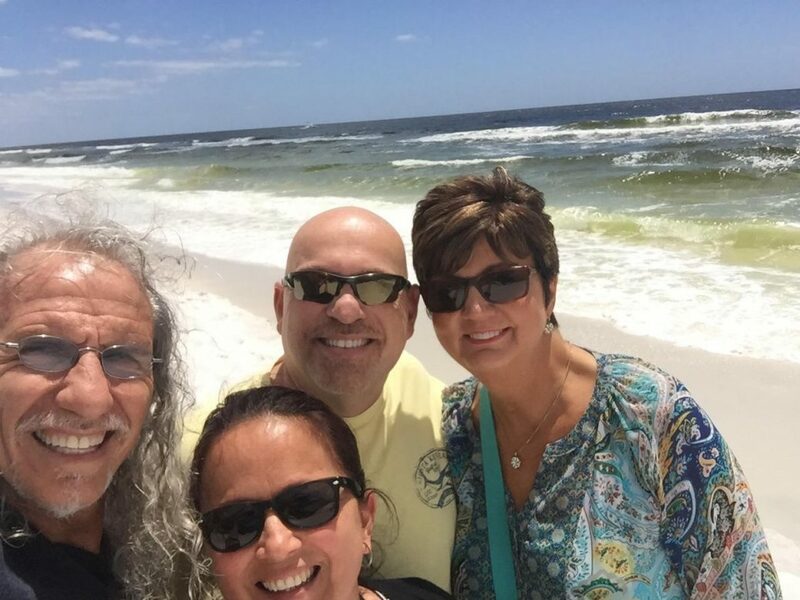 Standing Stone Ministry began in 2002 with one couple, Jim and Debbie Hogan, inviting one ministry couple to their home for a week-long stay. Jim and Debbie knew the toll that ministry takes on a marriage, on the pastor, and on the pastor’s spouse. Their desire was to offer a safe place for the couple to relax, decompress from a stress-filled life, and have some fun. They also wanted to encourage the couple to rediscover their passion for each other, the Lord, and the church. Their first retreat fulfilled all of those criteria and much more. In fact, it was such a success that Jim and Debbie invited another ministry couple to their Colorado ranch, then another, and another. Thus, the ministry of Standing Stone was born. One (mentor) couple caring for one ministry couple for seven days, six nights. One-on-one. It is one of the things that sets Standing Stone Ministry apart from other ministries focused on church leadership. Fourteen years later Standing Stone has branched out into other areas of serving ministry leaders, but our retreats are still an integral part of what we do. We now have more than two dozen mentor couples and many beautiful host homes across the US, but our retreat format remains the same. Lavishing the love of God on the servants of God and hosting with excellence. To that end, I wanted to share a behind the scenes peek at a Standing Stone retreat. It begins when a couple desiring a retreat is matched up with a mentor couple. Believe me, we give lots of thought and take time to pray about this aspect. The right mentors for the right couple makes for a fantastic week. Next, we have to match up the dates with locations. Seems most people want a So Cal beach location or a Hawaiian getaway! We do have lots of other fantastic locations, just sayin’. The ministry couple is asked to take an online marriage assessment before they come. We will spend some time going over this together. They are also given a four page food preference questionnaire. We take food very seriously! Just before the retreat begins the mentor couple (usually the wife) plans the menus (6 breakfasts, 6 lunches, 6 dinners, 6 desserts), which is a herculean task! They shop for food, do food prep, and arrive at the host home well before the mentee couple’s arrival. Everything is put in order to welcome the usually exhausted couple. The first evening together is a low key time of getting to know one another. I need to stop here and give some important information. The retreat is seven days, six nights. It is not a Friday night through Sunday afternoon retreat. It is not a week-long retreat at a campground with lots of other couples and guest speakers. It is not a vacation in the truest sense of the word. It is one couple with one couple. There is plenty of alone time factored into the schedule for the week. There is plenty of fun sprinkled throughout the week. There are lots of great meals and even a very special romantic dinner planned for one evening. But, there is also time set aside to talk about stuff. Important stuff. Personal stuff. Church stuff. Expectations. Dreams. Disappointments. Yes, the hard stuff. Thus begins a great week of talking, laughing, crying, praying, eating, playing, and sleeping. Most ministry couples come to a retreat with a bit of trepidation. They don’t know exactly what to expect. Most have walls built up. Since they don’t know these strangers they are a bit guarded initially. However, within a day or two the walls have crumbled. Hearts have connected. Lifelong friendships have formed. Ministry couples attend a Standing Stone retreat for a variety of reasons. Some are on the brink of burnout and need to take a break to gain fresh perspective, talk through their struggles, and get their tanks filled up. Some are on the brink of divorce. There may have been infidelity or they may be struggling with issues that are tearing them apart. They are looking for hope; a lifeline. They desperately need people who care enough to cry with them and walk through the hard places with them. Some come because their board members tell them they need a retreat. They come for some R&R and leave with many “Aha” moments. No matter the reason, God is always faithful to meet them where they are. Mentor couples host a Standing Stone retreat because they have hearts to serve. Most are pastors themselves or have worked in para-church ministries. They have years of ministry experience so they really “get it”. Our mentors have come to see their roles as a God-given privilege to help shepherd the shepherds. They offer their services humbly and consider it an honor to help bolster, encourage, and love these couples so they might develop a longstanding, effective, and fulfilling ministry. As much as possible, the mentors give insights and tools drawn from their own experience—mostly to help a visiting couple begin to believe that there is a way through and beyond the current chaos and complexities of their lives. They mentor out of love. A seven day, six night retreat may seem like a looooooooooong time to be sharing a home with virtual strangers. It is. But, two or three days into the retreat the week isn’t looking so long. Four days into the retreat the couples are already dreading the goodbye. On the seventh day there are tears, expressions of dismay at how fast the time flew by, and commitments to keep in touch. The newly refreshed ministry couple hops in their car or boards their plane with lighter steps and happier hearts. They feel encouraged, loved up, and rested. The mentor couple, on the other hand, while happy of spirit are bone tired! They are weary from getting up early to prepare meals (lots and lots of meals) and staying up late to clean up (lots and lots and lots of dishes). They’ve been praying and interceding for weeks. They are usually pretty exhausted. Ministering to others for an entire week is taxing. But it is worth every moment. They understand that what they do is very important. They understand that healthy shepherds make healthy decisions and those healthy decisions have a direct impact on their churches. They consider it pure joy. Then, they go home and take a nap. Now that you’ve gotten a behind the scenes look at a retreat are you interested in attending one yourself? Are you intrigued with the idea of becoming a Mentor Couple for Standing Stone? If so, check out our website at www.standingstoneministry.org, send us an email at info@standingstoneministry.org, or give us a call. We’re pretty certain you’ll be glad you did!